Paul di Resta admits he is facing the unknown, but the Scot is pleased to be boldly going there as he prepares for his first Formula One season. The Force India newcomer has put in some promising performances in testing but points out that Sunday's Australian Grand Prix is another matter. 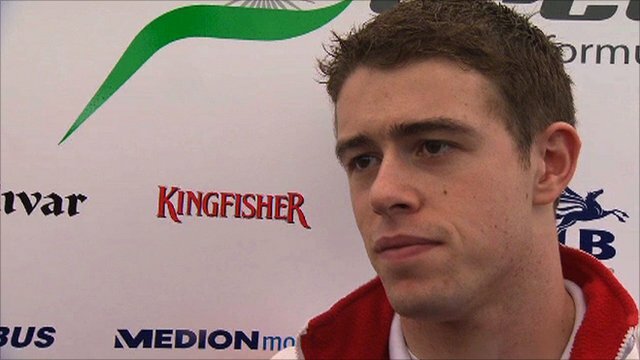 "I am very excited," said the 24-year-old di Resta. "It is a bit unknown. "We are not exactly where we want to be, but still staying very positive. We are going into it with a strong mind." The Livingston-born driver has risen through the ranks having started out in karting before spells in Formula Renault and Formula Three. He then spent three years in the Deutsche Tourenwagen Masters (DTM) touring car racing, winning the title last year. And, having previously tested for McLaren and Force India, the latter chose him in January to replace Vitantonio Liuzzi in their team for this season along with Adrian Sutil. "It's been a long build up to this, a long winter, a lot of hard work," said di Resta. "I haven't really stopped since last year. "Three days away from a Grand Prix is a strange sensation but one naturally that I am much looking forward to and certainly seeing where we are as a team and where we need to focus on for the rest of the year. "It is a long year ahead. There will be better points over the weekend, but it is very difficult to judge where we are going to be given it has only been winter testing and I am sure everybody's in a same position."